Nothing is constant but change — and changing times can be an interesting opportunity for a writer to document the upheaval of societies, standards and even power structures (fictional or otherwise). 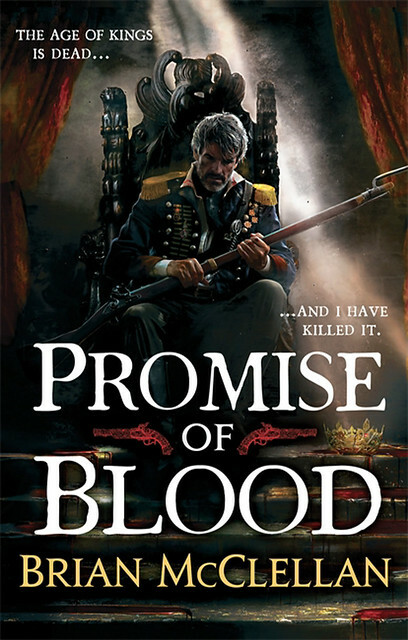 So Brian McClellan discovered with Promise of Blood, the first of his Powder Mage series. Here’s McClellan to explain. A little over three years ago, my wife brought home the first episode of a British television program called Sharpe, based on Bernard Cornwell’s novels. It was a wonderful show that featured Sean Bean as Richard Sharpe, a tough-as-nails officer rising up the ranks of the British army during the Napoleonic Wars. Needless to say, I was intrigued. A show where Sean Bean doesn’t die? Sounds like a blast. At this point I was working on ideas for my next novel. I was a little down in the dumps from rejections over my last book and was looking for an idea that would really hook the imagination. I wanted to write something that featured magic based on gunpowder, and had been toying with the idea of a short story set during the Prohibition. This all changed when my wife brought home Sharpe. By half way through the show I had decided that I’d be writing an epic fantasy novel based on the technology level of the Napoleonic Wars. By the end of the episode I had a rough outline in my head. I started writing it the next day. I quickly realized the wealth of inspiration for a novel that could come from that time period. Napoleon’s rise to power and the subsequent struggle for control throughout the various Coalition Wars is an epic tale all on its own that could be viewed from any of a hundred different perspectives. Men like Napoleon were products of the changing times, somehow managing to navigate the turmoil brought about by countless factions vying for control of the political and social landscape. During the French Revolution, the decadence of monarchs like Louis the XVI and Marie Antoinette was eclipsed by the brutal reign of Madame la Guillotine. The age of kings and their courts was coming to an end. At the same time, the Industrial Revolution swept across Europe, changing the way people thought about everything from politics and manufacturing to agriculture and class roles. Technology advanced at a pace never before seen. These advances gave men the ability to feed and clothe the greater population, while also allowing armies to kill on a greater scale than previously imagined. Kings were pulled down. Some empires expanded to include colonies in distant places; others were dissolved in favor of governments run by the people. Promise of Blood begins in this vein with a revolution; a bloody coup. Field Marshal Tamas sends his king and the high nobility of his beloved Adro to the guillotine, almost single-handedly beginning a new era of independence. Tamas represents a rising class of sorcerers, ‘Powder Mages’, who gain speed, strength, and endurance from ingesting gunpowder. This new form of modern magic is at odds with the old elemental sorcery of the ‘Privileged’ which is practiced almost exclusively by the nobility. Caught in the middle are the common people, many of whom possess “knacks” or magical talents of their own. I wanted the various magic systems to reflect the class struggles that follow a period of revolution and upheaval. I wanted to explore what would happen if magic evolved along with technology. How does magic change when gunpowder is introduced? What if the very existence of this new technology of powder and steel changed the DNA of the magical world? How would it affect the outcome of a revolution? Writing Promise of Blood allowed me to address themes of power, privilege, risk and revolution. Historical events like the French Revolution and the Napoleonic wars helped inspire me to create compelling characters faced with the momentous task of rebuilding a world where not only society, but magic itself, is changing. Read an excerpt. Follow the author on Twitter. This is totally lazy-web, but John, could you possibly add a Goodreads link at the bottom of these posts next to the Amazon et al links? If a book looks interesting, I will typically go to Goodreads and search for it, and then add it to my “to read” list. Thanks! That’s some good cover, right there. Sounds interesting, and close to some ideas of a future project I’d like to work on at some point. Will have to give it a read. It is indeed interesting. The interactions between the different types of mages is a nice secret sauce in the book. But I just spent all my book money (and my car-washing money, and some of my grocery money) at the Festival of Books yesterday! And here I thought I was finally making a dent in my Future TBR pile. This sounds really interesting, and will go on the list for next month’s book budget. John, thank you for this Big Idea column; I find more new-to-me authors this way. I’m always interested by fantasies which don’t swallow the default assumption that magic and technology are somehow antithetical. That seems to come from Tolkein and I think it traps too much fantasy in the standard cod-Medieval setting, which in turn leads to the problem of too many fantasies replicating historical Medieval social and political systems (and clothing, and architecture, and . . . ) despite the existence of things like wizards and dragons. Holy Schnikes. This sounds awesome. Thanks for sharing. 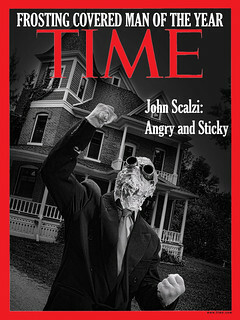 Thank you, Mr. Scalzi. I would not have found this, or found it intriguing, if not for this post. Re: Goodreads — this post links to the author’s site. He links to himself on GR, and to the book itself on a listed blog post on the right. Looking forward to reading this – just picked it up based on this post! That’s one excellent cover. Sadly, reading the excerpt something about the prose failed to grip me. I’m tempted, though – it’s certainly a good *idea*, and the writing is serviceable enough even if it’s not immediately engaging. l’ll definitely need to find this sometime! It sounds like a great twist on the old class struggles of society. Mixing magic and Gunpowder can work very well, as for example in Susannah Clarke’s excellent Jonathan Strange & Mr. Norris”, and I was a big fan of the Cornwell books growing up. All of which to say that this sounds like my cup of tea! I shall be ordering a copy at once. I’ve always been fascinated how many “standard cod-Medieval settings” (with your permission, I’d like to steal that), probably because of the influence of Dungeons & Dragons, have no problem mixing technologies that existed a thousand years apart–say, chain hauberks and Frankish axes on the one end, and Gothic plate armour and caravels on the other–but dismiss cannons and firearms, which were common by the middle of that period. Nor do elements like wizards or dragons tend to replace them. In any event, I’m always happy to see more “gunpowder fantasy”. Gregory Keyes’ Age of Unreason series comes to mind, and Michael Stackpole’s book At the Queen’s Command as well, and to an extent Naomi Novik’s Temeraire books. Currently sitting on my desk. As soon as I’m finished with London Falling, Promise of Blood is up. 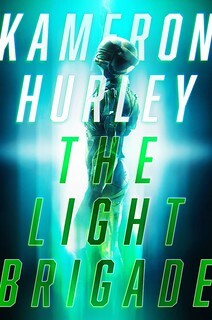 I hate to admit this, but the cover is what hooked me. That seems so shallow when I intellectually know that the cover art while tied to the book doesn’t necessarily match the story within. After reading the “Big Idea” as well as the lengthy excerpt provided, this has been added to my reading list. Having only recently found Whatever after hearing about Redshirts, I love these posts. Not all of the books presented are to my liking, but reading the behind the scenes thoughts of the authors is awesome. Thanks for providing these Mr Scalzi. Napoleonic Fantasy? Sure, why not. Powers vested by ingestion of gunpowder? Sure, why not. But that’s just me. Kudos, Mr. McClellan. Good luck on the new book. I’d already bought this book for the library I work at, even before I saw the cover. Too bad Orbit doesn’t sell eBooks to libraries. I’d have bought that too. Then my patrons could have discovered the series and maybe purchased the remaining volumes for themselves. Generally libraries have neither the space nor the funds to purchase entire series. There are exceptions, however. John Scalzi’s books are one. Brian–My theory is Sean Bean made a deal with the devil to die in another role for every time he survives when he shouldn’t in one of the Sharpe stories. About half done and this book is great! Those were some strong opening chapters, that’s for sure. Interesting characters, intrigue and awesome action sequences added to a novel magical system means this goes on the want to read list.